Sleek and sporty, the MINI Coupé is known for its sweeping exterior contours, quality interior and thrilling ride. With its go-kart handling and lightweight chassis it will have you smiling constantly. 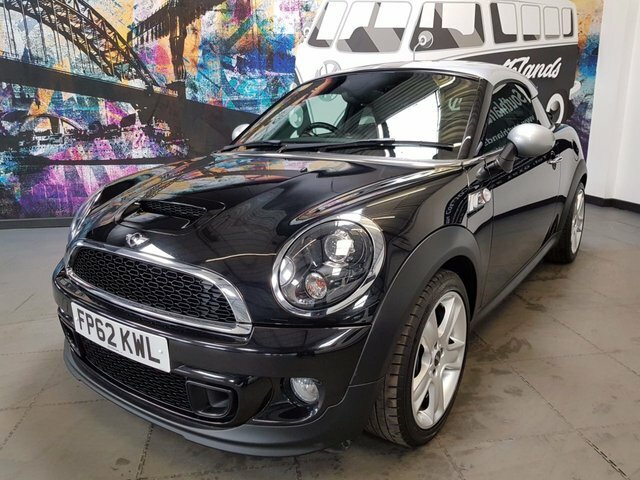 This slick two-seater might not exactly be the most practical pick for a growing family, but if you're after reliable thrills and an engaging drive that's capable of transforming your daily commute, one of the used MINI Coupé cars for sale in Whitley Bay could well be for you. Get in touch with a member of the team at Southlands Motor Company now to find out whether there is a suitable model in stock. You can also browse our complete lineup right here on the website.